We are the Authorised dealer of LPS High Tensile Fastener. 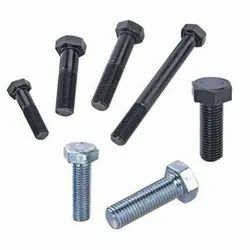 Offered fasteners are manufactured using optimum quality mild steel and latest technology by vendors' skilled professionals. We provide these fasteners at very competitive price to our clients. Besides, these fasteners are made available in various sizes and shapes. Standards : ASTM / ASME A/SA 193 / 194 GR. Our extensive inventory includes HIGH TENSILE FASTENERS. We offer quality High tensile fastener in variety of shapes and sizes which has their individual functions of their own. We have a wide range of high tensile nut bolts and screws available in ready stock. Price varies from Rs 1/- to Rs 5k based on the specification of the products. We are looking queries from Chandigarh, Mohali, Punchkula, Ludhiana and Himachal Pradesh.